It is so moving to see the restored Choir and Sanctuary open with the just restored Te Deum Window. Thank you everyone who has participated in making this beautiful renewal possible to God’s glory and for the inspiration and formation of generations to come. 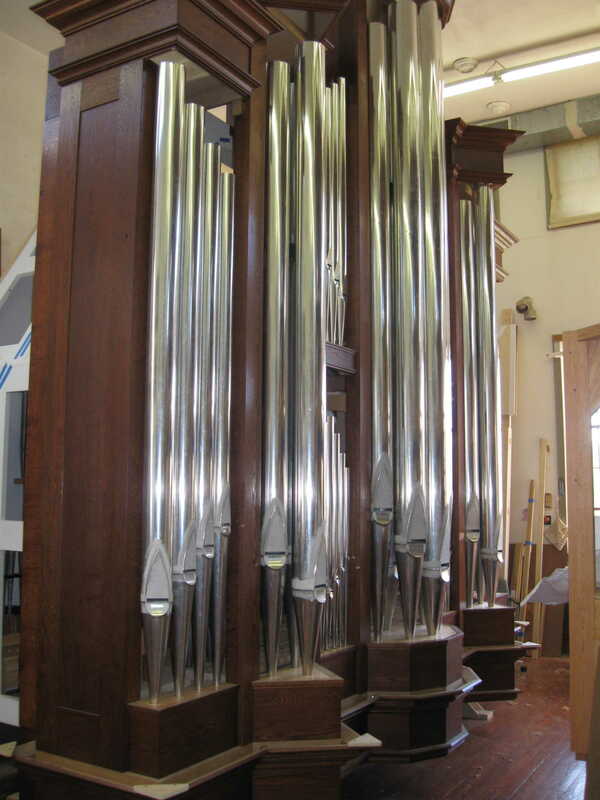 Attached are some photographs from a recent visit to the shop of Taylor and Boody to meet about and see the progress of our new organ under construction. The instrument is beyond expectation in every way. It was a feast for the eyes and so wonderful to hear examples of our Harmonic Flute, English Horn, Tuba, and Harmonic Trumpet. I hope you enjoy the photographs and wish you and yours a blessed Holy Week.